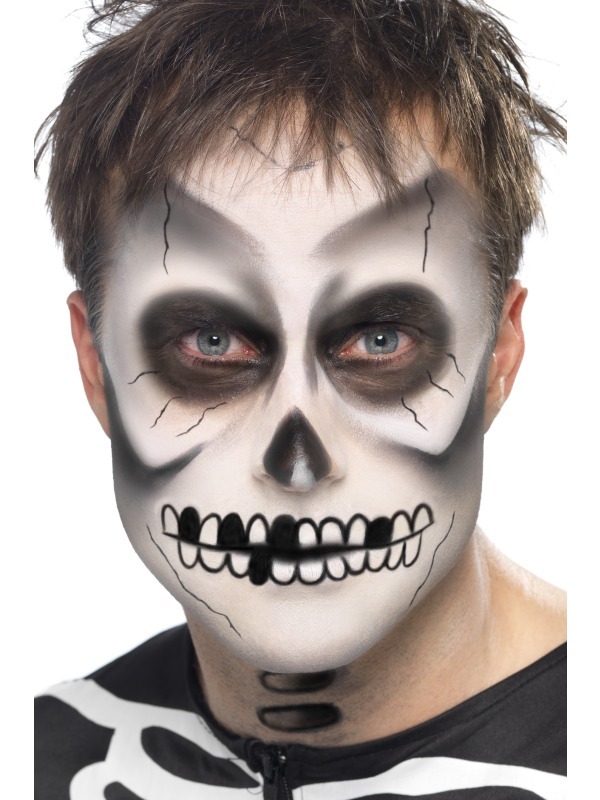 Complete your spooky skeleton fancy dress costume and look like the most realistic skeleton at the party this Halloween with this fantastic make up set. Included is white facepaint and a sponge to allow for easy application. 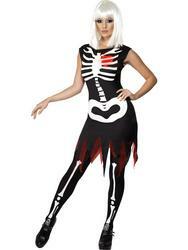 Completing the skeleton make up set is a black crayon so you can easily apply the detailing.